LANCASTER – The Lancaster Sheriff’s Station is seeking your help in locating the following suspects. If you recognize them and know where they might be located, contact detectives using the information next to the suspects’ photos or by calling 1-800-222-TIPS. Markus Wedderburn is 19-year-old male with brown hair and brown eyes. He is around 6 feet 2 inches tall and weighs about 210 pounds. 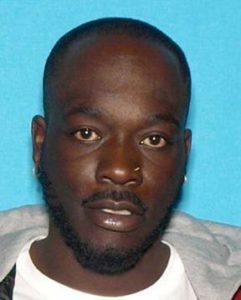 Wedderburn is wanted for robbery and assault. He is accused of assaulting and robbing a victim. There is now a $1,000,000 dollar warrant for his arrest. 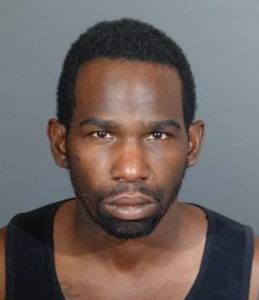 Anyone with information on the location of Markus Deshawn Wedderburn is encouraged to contact Lancaster Sheriff’s Station Detective Keesee at 661-948-8466. Horace Ross is a 37-year-old male with black hair and brown eyes. He is approximately 5 feet 9 inches tall and weighs around 195 pounds. Ross is wanted for domestic violence. He is accused of assaulting his girlfriend. There is now a $1,330,000 warrant for his arrest. Anyone with information on the location of Horace Ross is encouraged to call Lancaster Station Detective Volk at 661-948-8466. 3 comments for "Lancaster Station’s Most Wanted"
Horace …….you are real tough beating on women. What a pos. Horace likes to beat on women. What a p.o.s. sissy . Then runs like a big coward. Be a man turn your pathetic *ss in.